In this modern, boutique, elevator building, all that Downtown San Francisco has to showcase is at your fingertips. 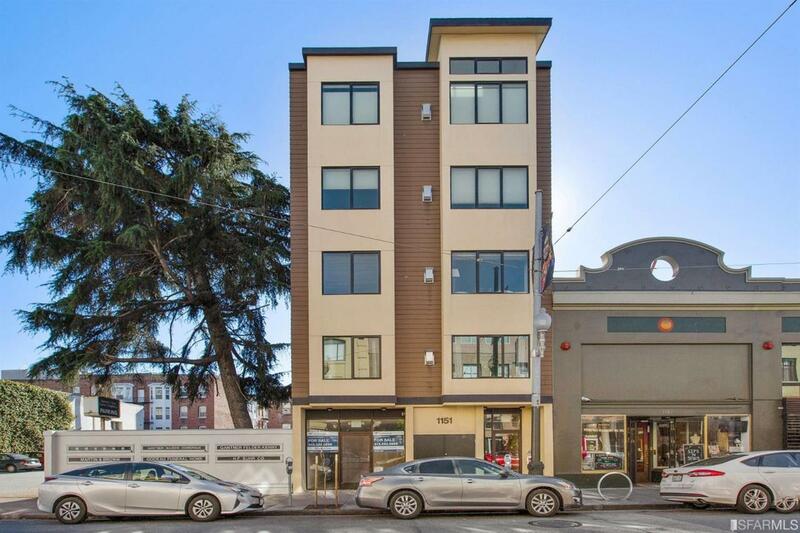 Constructed in 2009 in the heart of the Polk Street Corridor, unit 302 is a sophisticated 2 bedroom, 2 bath condo full of natural light. Stainless steel appliances, marble composite countertops, white oak flooring, a gas fireplace and in-unit washer/dryer. The building has an HOA that maintains the community roof deck with comfy couches, lounge chairs, a propane BBQ, fire pit. Super easy and convenient access from the Unit to this roof deck which has unobstructed and panoramic views of the surrounding SF color. One car independent parking on a mechanical lift. Downtown San Francisco never disappoints. The energy, the convenience, the art of the city itself can be found Downtown.